Michigan Democrats ripped a page from President Trump’s playbook this week by aiming at General Motors for its decision to layoff workers and possibly close factories in the state. They are treating to revoke $2 billion worth of GM tax credits, according to Fox 2. “The whole point was to make sure the jobs were kept. So I think we have to take a serious look at claw back legislation, that says if you don’t meet your obligations, if you don’t meet your promises, that those mega-(GM tax credits) have to be looked at, taken away,” Jim Ananich, (D-Flint), said in an interview. GM’s Monday announcement is complicated. Hours after the news, reports spread GM would close five facilities. However, that’s not entirely correct. Instead, GM said the plants would go idle and be “unallocated” for 2019. That wording is precise for a reason. The automaker can’t haphazardly shut down plants. Instead, the news is more of a signal to the United Auto Workers union and others the automaker would like to shutter those plants. It’s a negotiating tool. 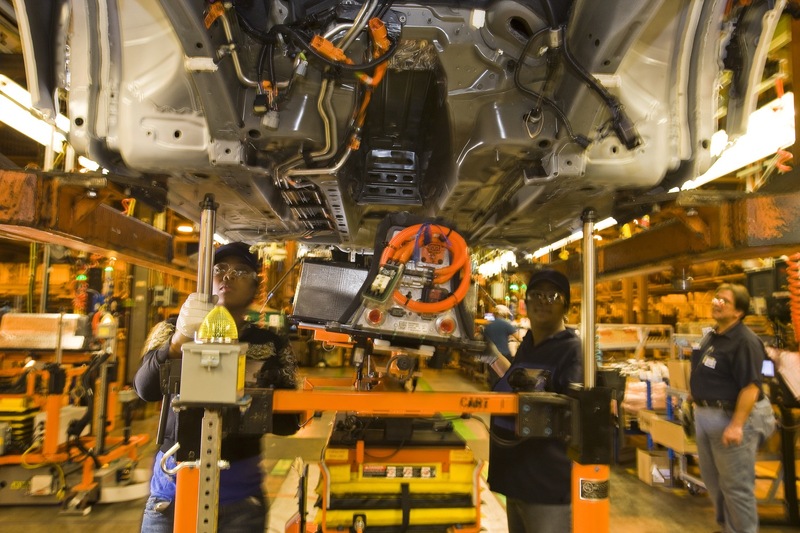 The current contract between the automaker and the union expires in September 2019. And just as GM will use the proposed closures as leverage, the UAW will use the proposed layoffs as leverage, too. But the complications don’t end there. Sedan sales in the U.S. are falling off a cliff. Vehicles such as the Buick LaCrosse, Cadillac CT6, Chevrolet Cruze, and others aren’t selling. Instead, crossovers, SUVs, and pickup trucks are gaining. This makes producing sedans at a profit difficult. GM has said the proposed cuts along with discontinuing certain models and closures are necessary now, while the auto industry is still bustling, to prepare for a bleaker economic future; however, few are seeing it that way. While Michigan Democrats are vocal about their displeasure regarding the news, as is Trump and Canadian Prime Minister Justin Trudeau, Michigan’s GOP-led legislature and current Republican governor are unlikely to support any such revocation of GM tax credits. Right now, it’s all bark with no bite. GM should announce how many new vehicles it plans to introduce to the market over the next few years along with how manufacturing jobs that they’ll need to fill in order to produce those new vehicles. They have a lot of upcoming stuff and I bet that people would think differently of this whole situation if they knew how many jobs GM will be putting back into American towns. Besides that, they’d be hurting GM by making them keep those six cars in production for much longer and then they’ll complain that GM is losing too much money or falling behind in EV and Autonomous Vehicle development. GM is positioning itself to sell autonomous and electric car technologies to other automotive companies, and they need to pull funding from other products to develop these new technologies. They have a great plan, but they aren’t making it clear enough and too many people are hooked on the loss of jobs. I understand that the loss of jobs is emotional and critical for the employees and their families(just ask Flint), but GM has every right to do what’s best for their business. Politicians can be so good at killing more jobs. Nothing like slamming an American company then telling them you are going to reduce incentive for them to sell cars because we all know their answer will be to just shut the company down. This will give us no American auto industry. I’m soooooo tired of finger pointing, versus discussion on how to improve the situation. Maybe they could ask GM and Ford what they need to increase sales in the US so they build more factories rather than continually tear them down. the push for EVs is too fast for as it should be phased in over the next 20 years to give the customers time to adjust. what they need to build more factories in the US is get the govt and the unions out of the way. You’ll be dead before then, so why are you worried?